Start with a dream, add a good amount of dedicated hard work and mix in a lot of caring. 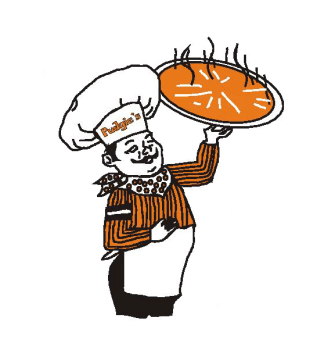 This recipe has served Pudgie's Pizza & Subs well for over 50 years. Top quality food with friendly, fast service is what has made Pudgie's endure four generations of success in our family operated stores. WE owe a great deal of thanks to the thousands of current and former hardworking employees who contributed to our success over the years. We give an even larger, heart-felt "Thank You" to the customers who have helped us sell millions of pizzas over the last 50 years. Without the loyalty of our customers we would not be here today. We hope that you continue to enjoy our family recipes that have been handed down through the generations. Pudgie's Pizza located in historic Hanover Square. Owned and operated by the Tarntino family for over 35 years. We offer the finest pizza, pasta, and wings at affordable prices. We deliver to Horseheads, Pine Valley, Breesport, Big Flats, and Elmira Heights. Horseheads Pudgie's would like to thank everyone who helped our 50th Anniversary Celebration become a huge success. We are extremely proud to have come this far, and we owe so much to all of the family that has helped us along the way, and to the loyal customers we strive to serve.Also we would like to acknowlege all of the hard work and dedication of our employees. We just wanted to take the time to give something back to our customers and to show our appreciation. With your support we will still be here in another 50 years.